How far is Kingsbarns from St Andrews? Tee times are available from 1st August for the following year. Is there a toll free phone number from US and Canada? Yes, there is. The number is 1-800-441-1391. What is the time difference between Kingsbarns and the USA/ Canada? 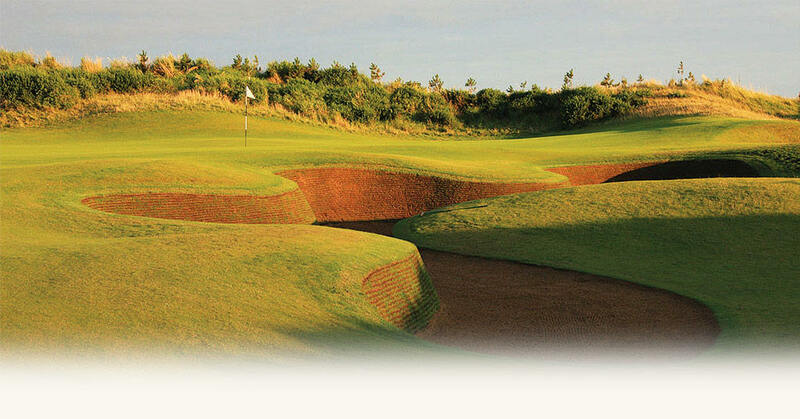 We find golfers, regardless of handicap, enjoy the Kingsbarns experience if they can keep up with pace of play. When do I pay for my green fees? The payment is settled at the time of the booking. Yes, we accept Visa, MasterCard, American Express and most debit cards. The course is closed during the winter usually from mid-November until mid-March. The course is also closed for a week during the Alfred Dunhill Links Championship which takes place from the 4 – 7 October 2018 (course closure from 30 September – 7 October 2018). Do I need to pre book a caddie? It is advisable to pre-book your caddie to avoid disappointment. Please indicate whether you require an individual caddie, or a fore caddie (one caddie for four players). Our individual caddie fee is £55 plus gratuity and the fore caddie fee is £80 plus gratuity. The gratuity is entirely at the golfer’s discretion. What is the Kingsbarns Caddie Guarantee? If a golfer feels their golf round was not enhanced by their Kingsbarns Caddie, we’ll refund the caddie fee, in full, on the spot. Why are we offering this money-back Guarantee? Our Caddie Guarantee is intended to give undecided golfers the confidence to take a caddie at Kingsbarns (regardless of their experiences elsewhere) since we know our caddies will add further enjoyment to their Kingsbarns golf experience. Our pace of play guideline is 4 hours 40 minutes for 18 holes. We welcome golfers with disabilities but would advise them to contact us in advance regarding golf course conditions and accessibility for mobile buggies. There are full practice facilities available at Kingsbarns including a driving range with unlimited balls, short game practice area, bunker and putting green. Use of the practice facilities is included in the green fee. Yes, we do. If we have to close the course due to bad weather we offer golfers the possibility to re-schedule their tee time. Should this not be possible we offer a refund. Yes. There is a well-stocked halfway house situated by the 10th tee. Yes, toilets are situated at the 10th tee in the Halfway House and in the area behind greens 8,11 and 15. Yes, complimentary push trollies are available. Electric trollies are available on request at a cost of £18 per day. Are golf clubs and shoes available for hire? Yes. Titleist hire clubs are available for men and women in both right and left handed models at £35 per day. Hire shoes are £10 per day. We recommend reserving in advance. We request appropriate golf attire on the course and in the clubhouse. Yes, golf shoes are allowed in the clubhouse. Smoking is permitted on the course but not in the clubhouse. We do have Wi-Fi internet access in the clubhouse free of charge. The wireless key/password is available on request at the bar. We would be very happy to assist on the phone or by email and organise shipping of the desired items to our customers. We do not offer an online shop. How can I get a tee time at the Old Course? There are four main ways to do so if you have a suitable handicap (24 for men and 36 for women). The first way is to apply through the Advanced Reservations process at the start of September for play the following year. The second, and most common way, is to enter the Ballot which is drawn 48 hours in advance. Thirdly, Single Golfers can approach the Starter on the day they wish to play and he will try to slot them in with groups going out that day. Finally, guaranteed premium tee times can be purchased from authorised Tour Operators. For more information please go to http://www.standrews.org.uk/Playing-in-St-Andrews/Book-Online/How-to-book.aspx. Can one join the Kingsbarns Golf Club? Golf has been played on the present site since 1793 when the Kingsbarns Golf Society was established as the 11th earliest golf society in the world. The Society was later reconstituted as The Kingsbarns Golf Club which remains active to this day. The Club carries on its historic traditions holding competitions at Kingbarns Golf Links. The Club is limited to its present membership of 50 and all members are required to live permanently within the local Kingsbarns area.